Pope Francis is keeping with the tradition of helping others on his birthday. Last year, the 266th and current Pope of the Catholic Church invited a group of homeless people to join him for breakfast at his residence in Santa Marta. 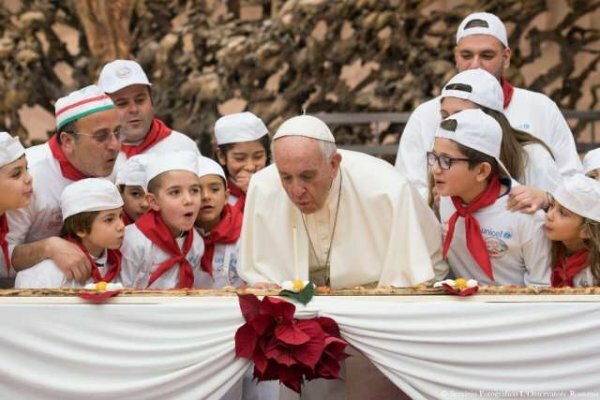 This year, to celebrate his 81st birthday, the Pope threw a huge pizza party for sick children. The Los Angeles Times reports that the Pope and the children prayed the Hail Mary over the pizza before the pontiff blew out his birthday candles. He then encouraged the children to eat the pizza, suggesting in a joking manner that it will help them grow. Reportedly, the 81-year-old Pope was also offered a cake by Roman Roman pastry Hedera Sweetness and Co. The dessert was decorated with a drawing by Italian street artist Mauro Pallotta. The artwork showed Pope Francis walking with the earth globe on his shoulders, carrying a briefcase with the word “Valores” (Values) written on it. It is always heartening to see public figures with a platform use their affluence to do good deeds and, hopefully, inspire others to follow suit. What are your thoughts? Please comment below and share this news!
? 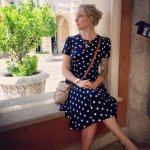 10 Motivational And Uplifting Quotes That Will Help You Start Over Internet Raises Funds For Homeless Man Who Stood In Rain To Guard Stranger’s Money ?